Porridge is one of the comfort food for breakfast. 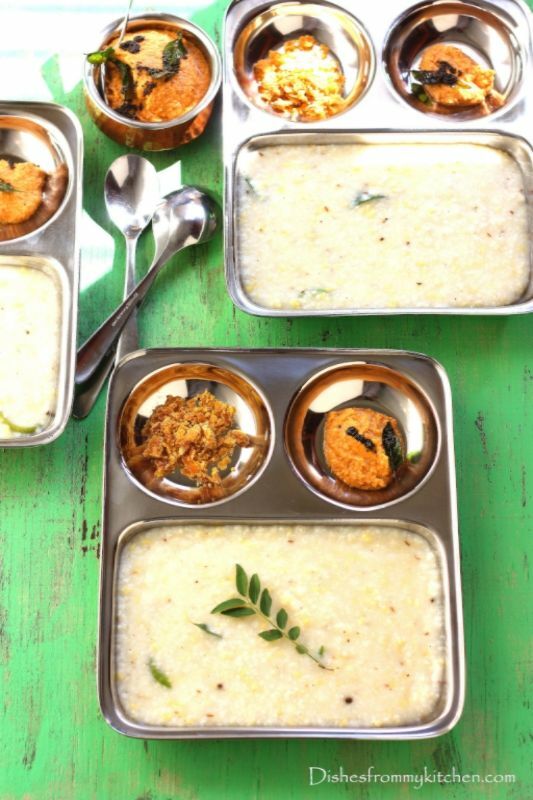 Porridge with rice and Mung dhal is very much regular in our house. These days I am substituting the same with Little millet or any other millet. Its so comforting and it tastes so good with roasted urad chutney, pickle or any other spicy condiments. 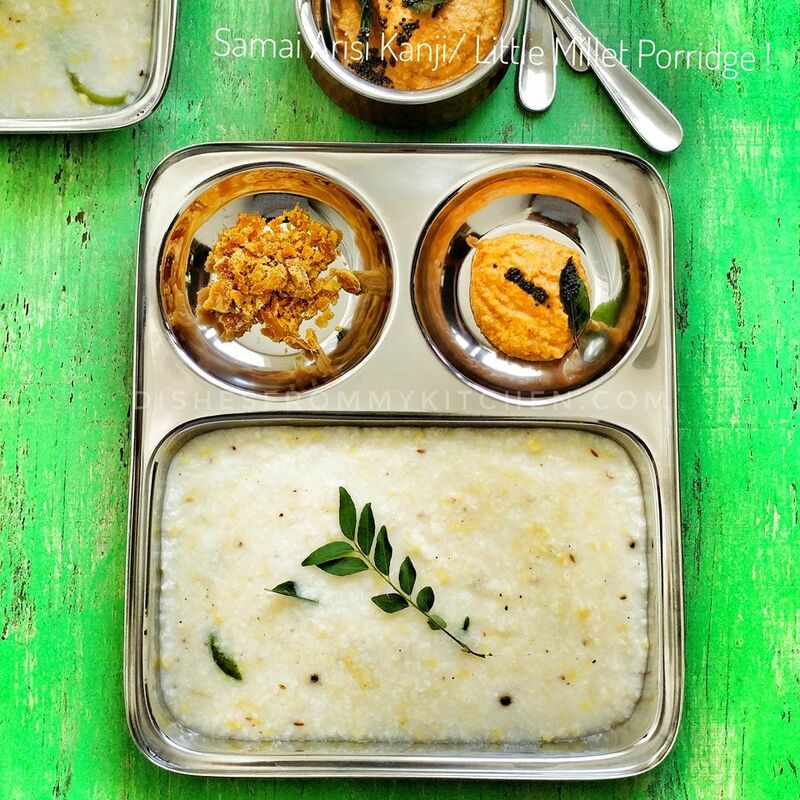 If you want to use rice (sona masoori )use the same recipe just by replacing millet with rice. When using rice in the recipe tempering ingredients is absolutely optional. 1. Soak samai arisi/ Millet and mung dhal for half an hour. 2. Add 6 cups of water and pressure cook for 6 whistles. 3. Heat oil in a pan , Coarsely crush cumin and pepper and add to the oil. Once it splutters add Green chillies, finely chopped ginger, Asafoetida and curry leaves. Saute for few minutes. Add coconut and switch of the flame. 4. Once pressure settles, slightly mash the cooked mixture using the ladle. 5. Now add the tempering mixture to the pressure cooked dhal and arisi/Millet. 6. Add Milk and water to get the desired consistency. 7. Let the whole thing come to a boil and switch off the flame. 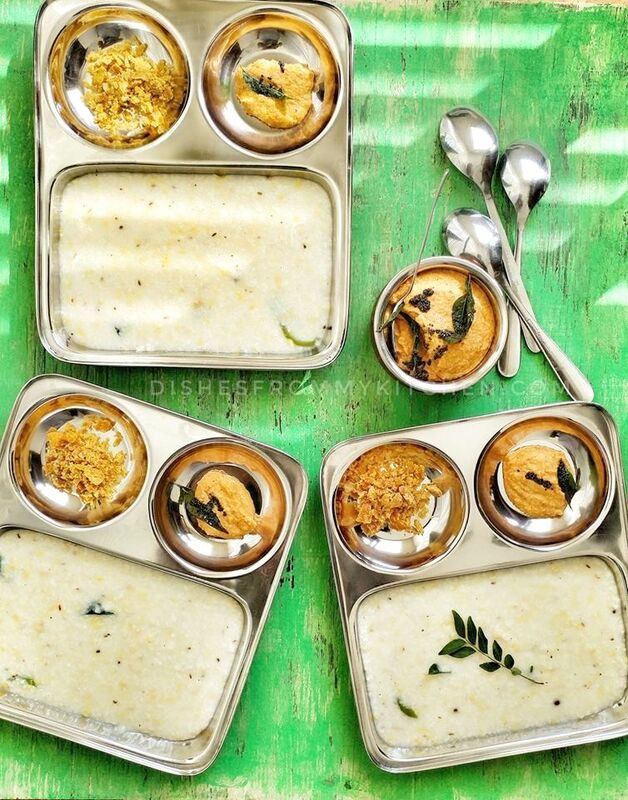 Serve hot with Chutney/Thuvayal and Jaggery. 1. Heat oil in a pan roast the dhal to golden brown and red chillies. 2. Now grind this with coconut and asafoetida to coarse paste. 3. Season with mustard and curry leaves. 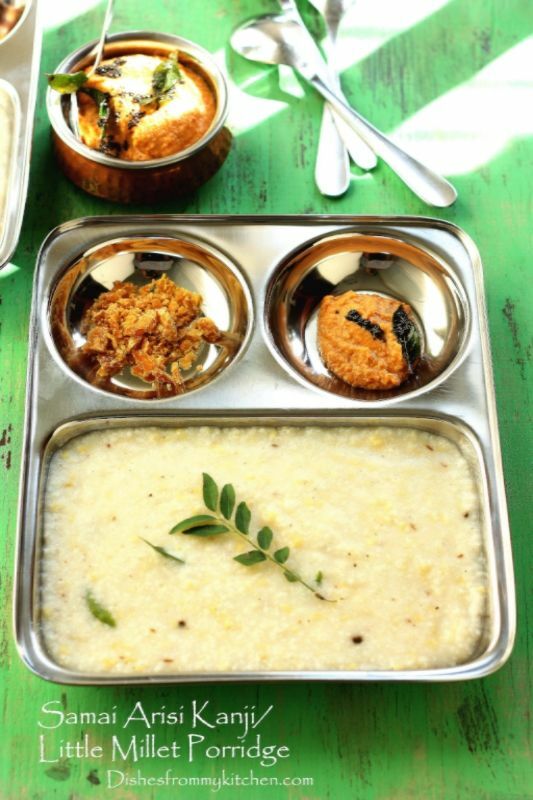 You can serve this with above chappathi, rice roti, normal idli, dosa too. PLEASE DO NOT COPY THIS RECIPE. YOU ARE MOST WELCOME TO USE THIS RECIPE WITH DUE CREDITS.